Nicole Gelinas of the Manhattan Institute is an expert on New York City transit, street use, and traffic. She joined the podcast to discuss her recent report on "decongesting" New York City, MTA improvement, and how to get New York moving again. New York’s economy has seen several rosy years in the decade since the Great Recession, with a run of steady growth, increasing job numbers, rising wages, and reliable tax revenue that has defied historical trends -- and led to growing city and state government budgets. But 2019 may be the peak of that economic swing as economic experts predict a long-expected slowdown to set in before 2020. New York City, the experts say, seems better equipped to weather any adverse effects of slowing growth and the state may struggle, presenting some hard choices for Democrats who will fully control state government come January and have a long list of priorities, some of which have financial costs attached. Also complicating the fiscal pictures as the state and city levels are projected budget gaps that must be closed, looming negotiations over how to fund the next MTA capital budget plan and its tens of billions of dollars to fix the subways, and the still unclear effects of recent federal tax reforms, among other outstanding questions. The finances of New York City continue to show a rosier picture than those of the state, with the city economy essential to the state’s ability to spend more each year, though the state has grown its budget in much more limited fashion than the city under Mayor Bill de Blasio. In January, Governor Andrew Cuomo will present his State of the State address and executive budget for the fiscal year that begins April 1. Afterward, de Blasio will respond to the governor’s budget plan -- which will set the stage for negotiations with the state Legislature, de Blasio, and others -- and release his own preliminary budget for the next city fiscal year, which will begin July 1. Once the state budget is finalized, the city will be able to take its details -- funding levels, new mandates, and more -- into account as it creates its own budget. The specifics of the annual struggle over what the state is asking or requiring of the city are to be seen, though Cuomo has already indicated he plans to seek more money for the MTA from de Blasio. Budgets are statements of values as much as they are financial planning documents and Cuomo and de Blasio, both Democrats, face pressure each year to balance their policy priorities with fiscal restraint, as well as the demands of others, especially members of the respective legislative bodies each must negotiate with. The governor prides himself on having passed eight on-time or nearly on-time budgets with a 2 percent cap on increased spending, though he is known to manipulate the numbers to say he has stuck to that limit even though some years he has not. De Blasio boasts of record amounts of savings, though watchdogs regularly say that he is not socking away enough given the extended economic boom while he is spending too much, especially in recurring costs like through a significant expansion of the city workforce. The agreed upon state budget was more than $168 billion for the current 2019 fiscal year, with savings that are far too minimal according to every expert. And the mayor’s administration, though praised by fiscal monitors for its responsible financial planning, has overseen ballooning expenditures, passing a nearly $90 billion budget for fiscal 2019 -- it was $72.7 in the final year of the Bloomberg administration. But New York City revenue is largely based on property taxes, which would remain relatively stable even in the event of an economic slowdown. The state on the other hand is far more vulnerable since personal income tax and sales tax contribute a bulk to state revenue. Barring any unforeseen circumstances, the current economic expansion, the second-longest in the country’s history, will continue through most of 2019, bolstered by the federal tax cuts passed in 2017 (even if many New Yorkers’ tax burdens increase due to the new cap on state and local deductibles). It should allow both the state and the city to keep spending, though experts warn that both should prepare for what will happen down the line. Both the Cuomo and de Blasio administrations, along with the state Legislature and City Council, respectively, should be putting more money towards rainy day funds, fiscal experts say; particularly the state, especially as necessary infrastructure investments loom large and add to already rising debt obligations. The state budget remains far more precariously placed in the case of a downturn, even though one isn’t expected to hit soon. The governor has reiterated in recent months that he will continue to abide by a self-imposed 2 percent limit on increased annual expenditures, which presents little wiggle room to add major spending initiatives, though it remains to be seen if the governor will employ one of his many budget maneuvers to obscure actual spending increases. For instance, the State Fiscal Year 2019 budget, which began April 1, included a provision that funnels Payroll Mobility Tax revenue directly to the MTA instead of going through the state, effectively shifting $1.5 billion out of the budget. 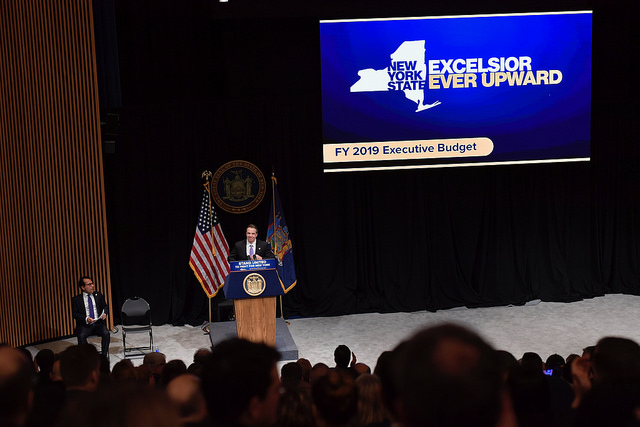 The New York State Division of Budget’s mid-year financial update, released in November, predicted that the state will meet its revenue projections by the end of the fiscal year. Even at the state level, budget gaps remain manageable, at about $3.1 billion for fiscal year 2020, a number that is quickly cut if the 2 percent growth is factored in. State Comptroller Tom DiNapoli released his own financial update in November, estimating that overall tax revenues would decrease by 1.8 percent by the end of the state’s 2019 fiscal year (end of March). Though personal income tax revenues are expected to fall by 2.5 percent, business and consumption taxes are set to increase by a total of 6.5 percent, the report estimated. Tax revenues are expected to increase by 5.9 in the 2020 fiscal year and then at a lower rate, 2.4 percent in the 2021 fiscal year. Similar to city representatives, officials in DiNapoli’s office said in a background briefing that they expect a soft landing for the economy, despite the volatility in national and international markets. They have yet to determine the full impacts of the federal tax code overhaul, which capped State and Local Tax (SALT) deductions at $10,000 annually, raising concerns that high earners facing larger tax bills would in some cases fold to out-migration pressures, leaving the state and taking their tax dollars with them. Given New York’s position as a high-tax state, even many upper middle class homeowners in expensive New York City suburbs, and in the city itself, will be facing increased tax burdens, though it is not immediately clear that these factors will lead to a significant increase in the number of higher earners leaving the state. New York has consistently seen out-migration each year and has lost a net of 1 million residents since 2010, according to The Empire Center, a think tank. A report issued by the center in March suggested that the state should undertake several reforms to encourage the economic competitiveness which could help reverse that trend. The state took measures to decouple state tax provisions from the federal tax code, including decoupling from the SALT limit to prevent higher state taxes, and changes to the child tax credit and the single filer deduction. The state also created two new programs -- the Employer Compensation Expense Program and the State Charitable Gifts Trust Fund -- in an effort to limit state taxpayers’ exposure to federal tax changes, but neither program appears to have caught on in any significant way. Officials in the state comptroller’s office said the impacts of the SALT deduction in particular wouldn’t be evident until during next fiscal year, particularly if it encourages people to move out of state. Other risks in federal funding to the state seen in recent years -- Republican proposals to repeal the Affordable Care Act and make drastic cuts to Medicaid -- have also mitigated, the officials said, since those proposals have failed to come to fruition. But federal funding does remain uncertain as Congress is in the middle of negotiating the current federal budget with President Donald Trump, who has threatened a government shutdown if Congress does not approve funding for a wall along the southern border that he had promised Mexico would pay for. The ballooning federal deficit incurred from the Trump-led tax cuts have also increased pressure on federal spending, which could trickle down to the aid that New York receives for transportation, health care, and education, among other things. As with the city, the state’s debt also continues to rise, particularly with the governor having launched an ambitious infrastructure program that includes modernizing existing facilities and building new ones across the state, including bridges, airports and bus systems. The state’s debt service payments for fiscal year 2019 stood at $5.5 billion and are projected to rise to $6.6 billion in 2020. New York currently ranks second-highest in the country, behind California, in outstanding debt. Year after year, DiNapoli has waved a red flag over the state’s debt obligations and officials in his office are keeping a close eye on whether those will increase in the upcoming year. There will be particularly pressing needs -- the MTA, NYCHA -- where the state will have to work with the city to fund large capital improvements. The current 2015-2019 MTA capital plan remains underfunded and the Fast Forward Plan, proposed by New York City Transit President Andy Byford to modernize the city’s subway and bus systems, may cost nearly $40 billion, with no plan proposed to pay for it in its entirety. A congestion pricing program for New York City has been embraced by the governor and many in the state Legislature as a funding stream, but even if implemented quickly and without carve-outs it would fall far short of meeting the goal. Last time Cuomo and de Blasio negotiated the MTA capital plan, the governor successfully convinced the mayor to significantly increase city funds for the authority. Cuomo has repeatedly stated publicly in recent months that he will be pushing the city to pay “its fair share” for the MTA. De Blasio has called for an added tax on high-earners to provide dedicated funding for the MTA, a proposal that Cuomo has publicly mocked as fantasy on several occasions. The state Legislature next year will also include several newly-elected Democrats who expressed support for increased education funding, per the Campaign for Fiscal Equity decision, which could add billions to the state budget. The state Board of Regents recently proposed a $2.1 billion increase in education funding for next year, which would be a significant jump from the current fiscal year’s increase. New York already spends nearly twice the national average on per-pupil funding, said CBC’s Friedfel, but doesn’t necessarily allocate funding to the districts that need it most. CBC has argued for changing the key formula, known as Foundation Aid, noting that many wealthy districts receive it despite already spending more than the national average and more than the already-high state average by leveraging local tax dollars. Another open question is what the state will do with about $900 million in unspent or unallocated one-time funds from Extraordinary Monetary Settlements, recovered from the financial industry in the wake of the 2008-09 market crash. Since state fiscal year 2015, the state has received nearly $11.2 billion in those settlements. Though the governor has repeatedly said he will divert those funds to capital investments, and he mostly has, he has also used them for budget balancing purposes, DiNapoli’s office noted. “The governor should be putting much more money of any one-time revenue sources aside for the MTA, things like court settlements or just better-than-expected revenues,” Gelinas said, noting the dire need to fund the transit agency. “We haven’t put enough of that money aside for the MTA.” Cuomo has, on the other hand, dedicated financial settlement money to his signature infrastructure projects, like the new Mario M. Cuomo Bridge. Unlikely to impact the next state budget, but certainly on the negotiating table in the new legislative year, is the push to revolutionize how New York provides health insurance and health care. Several legislators, long-time and newly elected, are pushing for the New York Health Act, which would establish a single-payer health care system in the state and could cost nearly $140 billion in additional state expenditure by 2022, according to a RAND Corporation study. Though the act could reduce total health care spending by 3 percent by 2031, the study found. Cuomo has said he supports a single-payer system, but has insisted that it should be implemented by the federal government rather than the state, and said that he does not see it make fiscal sense for New York. New York already has one of the largest Medicaid programs in the country, comprising a huge chunk of the state budget (education and Medicaid are the two biggest spending programs). But enrollment has been relatively flat over the last three years. If that trend continues, Friedfel said, the state could find more savings in the budget. Friedfel also noted at least one development on the horizon that could have a significant impact on state tax revenue. “The million pound gorilla in the room is what’s gonna happen with the state’s millionaire’s tax,” Friedfel said. The tax is due to expire on December 31, 2019, and though prominent elected officials have called for extending, and even expanding, the program, CBC’s position is that it should be allowed to sunset to help with the state’s economic competitiveness and to keep high-earners from leaving because of the SALT deduction cap. While Cuomo has overseen its repeated extension and he has dismissed calls to expand it, during the recent election cycle he was mum about what he wants to do with the current millionaire’s tax. The city released its latest budget modification in November, revising spending up by $1.4 billion, for a total of $90.56 billion for the 2019 fiscal year, which ends June 30. That marks a high point for city spending, and an $18 billion increase from before de Blasio came to power in 2014. The city’s Office of Management and Budget projects a manageable $3.17 billion budget gap -- the difference between expected revenues and projected expenditures -- for the 2020 fiscal year starting July 1. OMB expects that gap to rise to $3.36 billion for fiscal year 2022, the end of the current four-year financial plan period, by when expenditures are projected to reach a whopping $99.6 billion. As City Comptroller Scott Stringer noted in his latest financial report released on Friday, OMB tends to issue more conservative estimates of revenues in upcoming years, allowing the administration more leeway to adjust spending. Stringer’s report estimates the budget gap to be lower, about $2.6 billion in FY2019 and $2.8 billion in FY2022. “We’ve come out of a run of a number of years of good economic conditions and good fiscal conditions here in the city...but we’re not seeing anything in the numbers that suggests it’s going to end anytime soon,” said Ronnie Lowenstein, director of the Independent Budget Office, a nonpartisan city-funded agency. In a background briefing, an official at Comptroller Stringer’s office acknowledged that there’s significant uncertainty, with even the Federal Reserve appearing divided about where the economy is heading. There are mixed signals in the market -- unemployment is markedly low which should lead to higher inflation, but hasn’t. But the comptroller’s office is cautiously optimistic and no economist currently projects a recession -- though one is never out of the question -- but rather a return to a slower rate of growth by the time 2020 rolls around. “[We’re] expecting a great deal more softness in economic growth,” said IBO’s Lowenstein. “Not a recession but a much softer U.S. economy. And as far as the local economy’s concerned, we’ve already begun to see the weakening.” She pointed to the drop in job growth over the last few months and also noted that though the job market has diversified with more jobs created outside the financial industry than before the last recession, most of the new jobs have been in lower-paying industries. But she said that slower growth won’t create out-of-control deficits. “We’re looking at gaps that are readily manageable, of the size that we’ve managed in the past,” she said. The official from the comptroller’s office agreed that the city has the capacity to manage outyear budget gaps, particularly with a strong budget surplus each year that has allowed the city to maintain a healthy, if not optimal, level of reserves. The de Blasio administration put away added rainy day funds in the current fiscal year, responding to demands from the City Council. The result included a total of $1.25 billion in the general reserve, $4.35 billion in the Retiree Health Benefits Trust Fund, and $250 million in the capital stabilization reserve. The city’s budget cushion has been increasing over the years and stood at about 11.2 percent at the start of the current fiscal year, though the comptroller has urged the administration to maintain levels between 12 and 18 percent, the lower range of which would have required more than $6.3 billion to hit the upper end. There are of course various risks that the city must manage. One big vulnerability, according to the official from the comptroller’s office, is the size of the city’s workforce, which has added more than 30,000 workers under de Blasio. “If you look at the November budget update...the biggest issue is the increased expected spending on labor,” said Nicole Gelinas, senior fellow at the Manhattan Institute, a think tank. She noted that the report increased the labor reserve for fiscal year 2020 by $704 million, for 2021 by nearly $1 billion and for 2022 by about $1.4 billion. “No mayor has ever gotten through two terms without a recession,” she added on the eve of de Blasio’s sixth year in office. The city’s debt obligations have also been rising, owing to a massive capital program, which pays for building and maintaining the city’s infrastructure such as roads, parks, schools, and libraries. “Debt service is one of the two big sources of growth in city spending,” said IBO’s Lowenstein, referring to the annual debt payments that are included in the city’s expense budget. “It’s debt service and healthcare, and they’re both big and they’re both growing very fast.” Debt service -- which is accounted for in the city’s annual operating budget -- is budgeted at a total of $6.8 billion for fiscal year 2019, according to the November update, and is expected to rise to $8.3 billion by fiscal year 2022. Rising debt service also gives the mayor and City Council “less leeway to budget for other things ranging from teachers to cops to road repair,” she said. Stringer has repeatedly raised the issue of rising debt, though it’s not yet out of control. The rule of thumb for his office is that debt service should not exceed 15 percent of tax revenues, a level it is well below currently. And the City Council has also attempted to make changes to the mismanaged capital funding process, creating a new subcommittee this year dedicated to examining the capital budget, finding ways to make it more efficient and reducing cost overruns. Upcoming City Council budget hearings may indicate whether that subcommittee and its focus are having any real impact. But there are big items that may add significantly to the city’s capital investments and therefore create an additional debt burden. Those include funding for the beleaguered New York City Housing Authority (NYCHA) and the state-run Metropolitan Transportation Authority (MTA). In both cases, the city may have no choice but to commit billions more dollars, particularly pending the outcome of negotiations with federal officials over NYCHA and with state officials over the MTA, for which the city typically kicks in significant capital funds. “The city may not have choices so the speed with which this occurs may be out of our hands,” Lowenstein said. Note - This article has been updated to ntoe that the Capital Stabilization Reserve is $250 million, not $250 billion. With the transit system in New York City in constant crisis over a sustained period of time, from delayed trains underground to ever-dropping bus speeds on the streets, the question of how exactly to fix mass transit has been on the minds of elected and appointed officials, advocates and analysts, and, of course, frustrated commuters. In the aftermath of the short-term Subway Action Plan, the effectiveness of which was somewhat difficult to quantify and apparently underwhelming, officials are trying to focus on how to provide more long-term physical and fiscal stability for the beleaguered Metropolitan Transportation Authority (MTA). While the ambitious plan to upgrade train signals, bus routes, and MTA spending practices that MTA New York City Transit president Andy Byford has called Fast Forward seems to be a universally agreed-on blueprint to improve city transit, how the plan gets funded and implemented is somewhat more muddled thanks to political disagreements between state and city leaders. Governor Andrew Cuomo has embraced congestion pricing, a plan that would fund the MTA through tolls on vehicles entering Manhattan south of 60th Street, what the Fix NYC panel has determined should be the border of Manhattan’s central business district. Cuomo called the scheme -- which is aimed at both funding the MTA and reducing Manhattan roadway congestion -- an “idea whose time has come” last year, but the only part of the proposal that was agreed upon by state leaders this year was new fees on taxis and app-basd for-hire vehicles ($0.75 added to for-hire-vehicle carpool rides, $2.50 on taxi trips and $2.75 on FHV trips that go into Manhattan south of 96th Street), leaving the more difficult matter of adding a toll cordon in Manhattan to be dealt with later -- perhaps in the 2019 state budget, as Cuomo has indicated. Cuomo is also demanding the New York City “pay its fair share” for any subway upgrades, an ask that observers have called dubious and one that seems wrapped up in his running feud with Mayor Bill de Blasio. For his part, de Blasio has resisted embracing congestion pricing, calling it “regressive” even in the face of data showing car owners are wealthier than regular city transit riders, and has instead pushed a millionaires tax as a way of providing the MTA a new revenue stream. The mayor’s resistance to congestion pricing has drawn criticism from subway advocates, who have put together an advocacy coalition made up of anti-poverty and transit groups to push for the toll, and the millionaires tax is an idea Cuomo and even Democratic state Senators have dismissed as not having much support in Albany. In recent months de Blasio has appeared warmer to congestion pricing, perhaps seeing the writing on the wall as it gains support and appears to be a top Cuomo priority for the new year, pending his own reelection. There’s also a coalition of elected officials who feel like the answer is to institute congestion pricing and the millionaires tax, in addition to reinstituting the commuter tax and getting the federal government to end the carried interest loophole. With the expected price for Fast Forward coming to close to $40 billion, these officials argue that neither congestion pricing nor a millionaires tax would provide the needed revenue for the MTA even when combined with contributions by the city and state. Along with the policy-makers themselves, New York’s other top transit minds, who often influence policy outcomes, continue to assess ways to improve the subway and bus systems. Asked by Gotham Gazette how city, state, and MTA leaders can make real improvements, experts outlined roughly eight key steps, ranging from instituting the much-discussed congestion pricing and Fast Forward plans to more ambitious proposals that would encourage the city and state to look at mass transit as an all-encompassing ecosystem instead of separate pieces that happen to operate under a single public authority. The transit experts who spokes to Gotham Gazette pegged moving ahead with Fast Forward as an important next step in the life of the MTA. “The Regional Plan Association has long advocated for modernizing the signaling system in the subways, improving bus service, and making all stations ADA accessible, these are fundamental parts of Fast Forward,” said Kate Slevin, the senior vice president of programs and advocacy at RPA. It’s the signal system upgrade at the heart of the plan, though, that Byford has suggested can be done on 11 line segments in 10 years, that could make the biggest difference according to Nicole Gelinas, a senior fellow at the Manhattan Institute with a focus on transit. “The single-biggest thing we need to do is get more people onto the trains more reliably, and you can't really do that with the signal system the way it is,” she said. “Even if [the signal upgrades] aren’t on the exact schedule the Fast Forward plan laid out, it's a high-priority, I think it's important,” Gelinas said, noting that the communications-based train control-equipped L train has on-time performances over 90 percent compared to averages of 60 percent performance across the rest of the system, which Gelinas, Byford, and everyone else paying attention wants upgraded to CBTC as quickly as possible. Of course, implementing Fast Forward will require a large infusion of money for the MTA in order to get this work done. For revenue, and other reasons, transit experts peg congestion pricing as a necessary step to improve city mobility and livability. “There should be costs to bringing a large metal vehicle into the city,” Gelinas said, noting the effect that car traffic has on pedestrians walking around cars in crosswalks and cyclists having to dodge cars in bike lanes. Not only would congestion pricing compel drivers to pay what Blank called “their fare share” for using public infrastructure, it would also free up street space in Manhattan which helps improve bus speeds there. “Fewer cars on the road means that the buses can start to move at speeds comparable to other cities. Right now they're stuck in the same traffic as the rest of the cars, so we have a transit system that's ineffective down below and on the surface,” Blank said. And the need for it, according to Slevin of RPA, is almost impossible to overstate. “I can't stress enough how the key is congestion pricing to help us fix the subway, fix the buses, and provide the revenue for Fast Forward. And we have to get it done in 2019, we have to,” she said. Whether or not a new revenue source for the MTA comes to fruition, the authority must look at how it actually spends the money it has at its disposal, according to transit watchers. The good news, on that front, is that members of the MTA board have spoken up about cost-controls recently, including a well-received report by Scott Rechler that laid out how the MTA could cut costs by reforming the agency’s bidding and project management processes. Like with many governmental agencies and authorities, personnel costs loom large. A coming jump in employee healthcare costs to $2.6 billion in 2022, according to Gelinas, means the authority should take a look at those and other costs as a preparation to make a bigger ask. “I would like to see a full audit of every single cost. Not even start with cutting health benefits, but are there better ways to deliver this healthcare, look at the labor rules, really justify spending every dollar before you do congestion pricing and say, ‘Oh by the way we need more money too.’"
There’s also an upcoming opportunity for the MTA and the Transportation Workers Union to find savings in staffing rules when they negotiate a contract in 2019, according to Jamison Dague, the director of infrastructure studies at the Citizens Budget Commission. Part of the spending fix can be as simple as the MTA taking a more active role in buying work materials. “Contractors and subcontractors buy the materials like cement and steel,” Gelinas said. “You'd think it would make sense for the MTA to buy those because it's a much bigger purchaser on the world market, and then give them to the contractors. Materials procurement is very opaque and there's a lot of room for corruption and middle men and padding and all kinds of things there,” she said, but the process still flies under the radar and delays projects that are as simple as repairing some stairs. It’s also important for the MTA to prove they can actually improve the lives of New Yorkers, in order to build political support for the authority’s larger plans. The upcoming completion of the 7 train’s much-delayed CBTC signaling system is another opportunity for the MTA to show off what service improvements actually look like, while also explaining how other lines will be upgraded more efficiently, per Fast Forward. “The more the MTA can do to build its credibility in the near term will help with some of these longer term funding discussions,” said Slevin of RPA. “The L train shutdown is an opportunity to show you can get a big project done faster and cheaper by ripping off the Band-Aid and having a shorter period of time when there's more pain for riders,” she said, an especially salient point as Fast Forward fixes will most likely come with massive service disruptions. And as budget season starts in 2019, Blank of Tri-State Transportation said the city and MTA should lobby state lawmakers for even more bus lane cameras, an improvement that advocates called for in a recent “Fast Bus, Fair City” report. Blank also said the city should follow another one of the report’s recommendations and add 100 miles of bus lanes in the next five years, on top of the city’s existing 120 miles of lanes. Gelinas of the Manhattan Institute suggested a more radical redesign of the city’s streets if human-based enforcement didn’t speed the buses up. “The city can do more with the physical infrastructure itself, something like building out a curb so the traffic can't easily get into a bus lane. They do that in Paris, with reverse bus thoroughfares, so buses come in the opposite direction of traffic. So you'd have to be very stupid to go into that lane and be hit by a bus. When human enforcement of things like speeds and double parking doesn't work, use the physical environment to nudge people in the right direction,” she said. Taking care of the buses, in an example Slevin laid out, would make it that much easier to work on the subways during Fast Forward. “You have to make the bus system faster so you have a reliable alternative when you're fixing the subway,” Slevin said. “So if you have a bus system that functions better you can have longer term windows to work on the subway.” Slevin also gave an endorsement to Scott Stringer’s new proposal to provide a single-ride ticket for use among the subway, bus, and LIRR and Metro-North stations located in the city. A vision of interconnected transit can even extend to pieces of it outside of the MTA’s purview, according to Associate Director of NYU Rudin Center for Transportation Sarah Kaufman. “I imagine an app like Citymapper, which already integrates multiple modes seamlessly into its direction platform, also providing a payment option through pre-loaded funds. Perhaps 10 Citi Bike rides would lead to a free ride, or 20 subway trips earns the user a discount. During gridlock alert days, prices could surge on Ubers while remaining low on transit in order to modify New Yorkers' behavior,” she said. While New York isn’t set to completely phase out the MetroCard in favor of a contactless fare payment until 2023, the city can look to places like Chicago where transit users can connect to the subway, buses, and bike share system with a single app.. While the MTA has to make sure the trains and buses they actually have now are running effectively, there’s still a need to grow the transit system according to some experts. “I don't think we can afford to wait another 20 years to add three stops to the Second Avenue subway. We have to be doing [Crossrail-type] of things here too if we want people to have a good quality of life. I don't think it's too ambitious,” Gelinas said in response to the question of whether the MTA should have to choose between bringing the subway system up to good repair or expanding it. Slevin at the RPA made the case that the MTA should study expansion now, since it typically takes so long to get a huge new project off the ground. “It takes many years to build new transit lines so the MTA could start studying the Triboro now, and then be ready to build once resources become available,” she said, making the case for the Brooklyn/Queens/Bronx line that the RPA has endorsed and which would largely run on existing little-used, above-ground railroad tracks, thus requiring significantly less construction than another new subway line, while also providing much needed access between boroughs that doesn’t rely on trips into Manhattan. “Part of the reason we are in the transit mess we are in now is because we failed to invest in the system, modernize it, and build new lines to meet growing demand. We can’t make that mistake again,” said Slevin, also arguing for expansions like the Utica Avenue line in Brooklyn, building the Q into the Bronx, and a Jewel Avenue line in central Queens, all subway extensions into dense, transit-starved neighborhoods. Gelinas echoed Slevin’s argument that a current lack of real planning could doom the city down the road. “We should be able to do two things at once, and if we can't, we're really harming the future of the city. As any perusal of Twitter will show you during a morning commute meltdown, transit riders are almost as annoyed by a lack of information about delays and trains getting rerouted as they are by travel disruptions themselves. Beyond confusing and irritating commuters, a lack of communication saps enthusiasm for proposals that would improve the system. “People understand when there's a real problem, but what they hate is not getting straight talk about it,” said Orcutt of TransitCenter. “If people don't feel like the MTA is levelling with them, it's much harder to get them to rally around more funding,” he explained. “Multiple studies have shown that passengers mostly trust the transit agency when they are provided real-time information -- even when it's bad news,” Kaufman told Gotham Gazette. “The information gives the perception of control over the system, whereas only sharing the word ‘delay’ does not.” Kaufman recommended the agency lean on specifics when telling riders why their train is delayed, especially since clearly communicating something like a signal failure could encourage riders to lean on elected officials to focus more on the issue of signal replacement. “[Communication] should just be a management thing. You don't need new anything for that, you just run it well and have somebody in charge,” Orcutt said. It’s a step the agency has made some movement on, hiring Sarah Meyer as the agency’s chief customer officer, but the effort at clear, timely, and focused communication is obviously still dogging the MTA with the occasional management failure and inaccurate countdown clock and website information. While improving the way the MTA shares real-time problems plaguing the subway system won’t actually fix those problems the way other solutions can, it will at least help with the perception of screaming, or tweeting, into a bureaucratic void when something goes wrong. Are we in a new era at the MTA? With Joe Lhota one year on the job as chair and a new transit chief, Andy Byford, in place and out with a plan to modernize the signals, where do things stand? Has the Subway Action Plan had any effect? What needs to be done to really improve the subways and buses, and get New York City moving again? 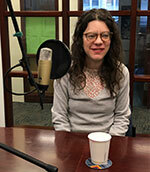 Nicole Gelinas is an expert on the MTA and other transit and infrastructure matters, and she joined the podcast just after checking out the June MTA board meeting to answer these questions and others. 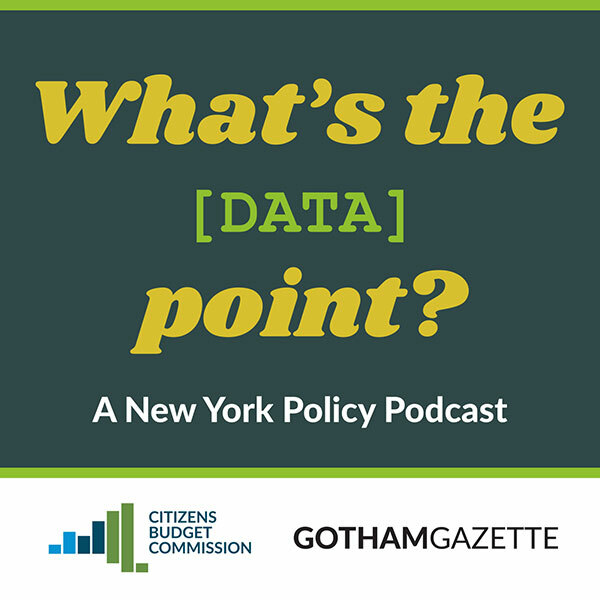 Listen to the full conversation and let us know what you think -- we're on Twitter @TweetBenMax, @JarrettMurphy, and @NicoleGelinas. You can listen to the episode through the embedded audio below or download the episode wherever you get your podcasts. Mayor Bill de Blasio inherited a city with a healthy economy and strong tax revenues, allowing him to add billions in new spending for his priorities and increase the size of city government while also saving substantial funds for a rainy day. Though fiscal monitors and budget experts generally agree that the city’s budget has been handled responsibly, they are cautious about the future. This is a mayor who has encountered few budgetary challenges, and numerous loom on the horizon, from slowing economic growth to federal policies that threaten to create a sharp financial crunch. There are also ongoing financial crises at the city’s public housing authority, NYCHA, and public hospital system, New York City Health + Hospitals. As de Blasio seeks a likely reelection on Tuesday, budget watchdogs warn that the incumbent Democrat might face his biggest tests in a second term, to which there are no easy solutions. Under de Blasio, the city’s operating budget grew to $85.2 billion for fiscal year 2018, an increase of $12.5 billion or 17.2 percent from the last budget that was modified under Mayor Michael Bloomberg. Much of the new spending has come from an increase in the municipal workforce. The administration has added more than 31,000 employees in de Blasio’s first term for a total headcount of about 328,267 full-time and full-time equivalent employees, the highest it has ever been. That number is expected to grow to 329,055 by the end of the fiscal year on June 30, 2018. These new employees also come with future obligations in terms of pension and health care costs. The administration has simultaneously put aside what the mayor and others often refer to as “historic” levels of reserves. This includes $1 billion each year in the general reserve, $250 million each year till 2021 in the capital stabilization reserve, and $4 billion in the Retiree Health Benefits Trust fund. Those reserves added up to a $9.8 billion or 11.1 percent budget cushion (reserves as a percentage of adjusted expenditures) at the start of fiscal year 2018, according to City Comptroller Scott Stringer’s report on the adopted budget. Stringer noted that the cushion remained at the same level as fiscal year 2017 since increased savings were matched by expenditures. He recommended an optimal cushion of between 12 and 18 percent, and has emphasized that the administration needs to create more savings through efficiencies at city agencies. De Blasio has eschewed targeted cost-efficiency initiatives at city agencies, which were a signature of previous administrations. He has opted instead for a voluntary Citywide Savings Program which identifies savings at agencies, more often through re-estimates of expenditure rather than efficiencies. He recently announced a partial hiring freeze at city agencies, though some see this as something of a gimmick given how many employees he’s already allowed to be hired. In keeping with his progressive agenda, de Blasio has massively increased funding for social services and related to homelessness, education, public safety, and mental health services, among other major investments. The combined budgets for the Departments of Homeless Services and Social Services increased to $11.5 billion in the fiscal year 2018 budget, up from $10.6 billion in the modified fiscal year 2014 budget that de Blasio inherited from Bloomberg. Department of Education spending increased by $4.4 billion in the same period, owing in large part to the implementation of universal pre-kindergarten and its planned expansion to three-year-olds. NYPD funding increased by $600 million, largely from the hiring of 1,300 more officers, while the Department of Corrections saw a nearly $340 million increase in its budget despite a continued drop in the city’s jail population. Currently, city employees pay no portion of their health care premiums, a fact that has been a point of contention over time but de Blasio has not shown any interest in changing. Most experts agree that some form of slowdown will hit the city’s economy, which is currently in the ninth year of an unprecedented expansion. Gelinas warned that though the city has reserves set aside, “it’s kind of easy to run through those.” In the 2008-2009 recession, she said, about $3 billion in tax revenue “sort of disappeared overnight.” In a similar situation, de Blasio would have to make some difficult choices, and signs of lower revenues are already evident. At the annual meeting of the State Financial Control Board in August, de Blasio said his administration had already projected a $416 million reduction in revenue in the 2018 fiscal year. The biggest uncertainty the city faces is cuts in federal funding and changes in federal policy on health care, taxes and infrastructure, though those have all remained a nebulous since before budget season. Efforts by the Republican-led Congress to repeal the Affordable Care Act have repeatedly failed; and a tax overhaul currently making it’s way through the two houses faces bipartisan opposition over a proposal to change the state and local tax deduction, which is a boon to filers in high-tax states like New York. Should it pass, however, tax revenues in the city will take a major hit. 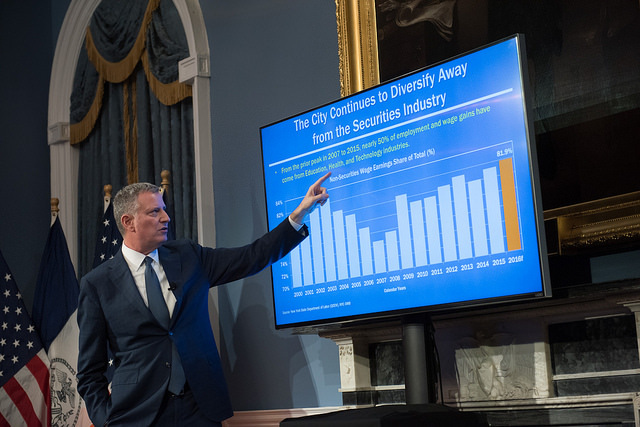 De Blasio made no significant adjustments for federal policies in his 2018 budget, insisting that the city periodically adjusts its budget to account for economic trends. The next budget modification is expected later this month. “We have an obligation and responsibility to provide New Yorkers with quality services now,” said Freddi Goldstein, a mayoral spokesperson on budget issues, in an email. “We cannot and will not let threats of cuts to federal funding that have yet to be realized deter us from strengthening New York’s future.” The city has been cautious in revenue estimates, and tax revenues are expected to grow at 4.5 percent over last year, in keeping with the administration’s plans. Carol Kellermann, president of Citizens Budget Commission, a nonpartisan fiscal watchdog, echoed Gelinas’ assessment of the mayor’s fiscal management. “He hasn’t really been tested in terms of fiscal policy,” she said, “because times have been so good so he hasn’t had to exercise as much restraint as CBC would’ve liked.” CBC gave the mayor’s last budget “mixed marks” over the growth in employee headcount and compensation costs. Both Kellermann and Gelinas also pointed out that the mayor has repeatedly touted the Retiree Health Benefits Trust fund as a reserve, even though it should be solely used to fund retiree health benefits and not in cases of a general shortfall. The mayor has also significantly expanded capital investments to support his agenda. The ten-year capital budget increased by about $6 billion this year to $95.9 billion. The increase includes $1.9 billion in additional funding for affordable housing, $1.1 billion to create new borough-based jail facilities, $300 million to renovate 30 homeless shelters, among other investments. These investments also add to the city’s debt service -- the money spent to satisfy debt from borrowing each year -- which is $6.5 billion for fiscal year 2018, and is expected to grow to about $8.3 billion by fiscal year 2021. “If the interest rates go up, that’s gonna be a big burden down the road,” Kellermann said. Assemblymember Nicole Malliotakis, de Blasio’s Republican challenger in the mayoral race, has repeatedly criticized the mayor’s ballooning budget and his “tax-and-spend” policies. At the first mayoral debate in the general election, on October 10, she attacked the mayor for the 300 new special assistants he has hired at City Hall, and his administration’s overall expenditure. “When we’re spending $15 billion more and we still have roads that are broken, we have subways that don’t run, we a homeless crisis, we have so many issues that are plaguing our city, then that is...the epitome of mismanagement,” she said, insisting that the city needs to streamline agencies. She particularly noted the Department of Design and Construction’s consistent cost overruns for capital projects, which was a source of concern for the City Council as well when this year’s budget was adopted. NYCHA has a $17 billion capital backlog and though the mayor has made large capital investments -- including more than $1 billion to repair roofs at all NYCHA developments -- the agency’s woes are far from solved. The NextGen NYCHA plan has born some fruit, clearing the agency’s operating deficit for the first time in years, but progress would be threatened if the Trump administration follows through with funding cuts to the Department of Housing and Urban Development. NYC Health + Hospitals, the municipal hospital system, handles about 5 million patient visits each year and serves about 500,000 uninsured New Yorkers. But the cash-strapped hospital systems depends heavily on the city bolstering its finances. Even though the city has increased funding to the system from $1.3 billion in 2013 to $1.8 billion this year, Health + Hospitals projects an expected budget deficit of $1.6 billion in fiscal year 2019, growing to $1.8 billion by fiscal year 2020. Parrott, who recently co-authored a report on Health + Hospitals for the New York State Nurses Association, said the city’s approach to restructuring the system has been flawed since it only focuses on finances without taking into account the larger eco-system of healthcare. The city and state must work together, he recommended, to create an integrated system that involves private hospitals doing their fair share for a more equitable health care system overall. Announcing the next steps of his citywide ferry service initiative at a recent press conference, Mayor Bill de Blasio said he is pleased with what his administration has done to improve transit options for New Yorkers, but admitted that he hasn’t put forth a coherent, comprehensive transportation agenda. Though transit experts have praised some of de Blasio’s moves to expand the city’s transportation network, many have also criticized what they call a piecemeal approach. De Blasio appeared to think for the first time about having and presenting an overall transportation agenda, perhaps indicative of the fact that he has not approached transportation like he has education or affordable housing. Like virtually all policy areas, transportation is complex, expensive, and challenging in New York City. For many driving New Yorkers, the top concerns are traffic congestion and smoothly paved roads. For others, the focus, and often the ire, are the city’s subway and bus networks, which are largely controlled by the MTA, which includes several board members appointed by the mayor, and is funded through city and state monies. The majority of the power at the MTA resides with the state, which also allocates a larger portion of the MTA budget. An age-old problem for New York City mayors, though, is that New Yorkers don’t always realize that the MTA is a state authority, and therefore blame the mayor for travel woes. Mayor de Blasio has taken to a common refrain when the MTA comes up during interviews or press conferences: “The MTA subways, buses are run by the State of New York. That is their process to work through. We contribute money to the MTA, but the ultimate decisions are made by the State of New York,” de Blasio said during an interview Tuesday morning on Hot 97 radio. The city can propose its own funding for subway extensions, as Mayor Michael Bloomberg did with the 7 train to the far west side of Manhattan, and influence Select Bus Service routes, which are essentially express buses. The city, through its mayor and MTA board members and state legislators, also has influence over many other MTA decisions. While it is important that any mayoral administration work with the MTA -- additionally challenging these days given the ongoing feud between de Blasio and Governor Andrew Cuomo -- the mayor and his Department of Transportation must find other ways to leave a meaningful impact on city transit, especially in terms of expanding options as the city population, tourism to the city, and subway ridership all swell. Additionally, for de Blasio the issue of “transit equity” is part of the discussion in ways it was not for his predecessors, given that the mayor was elected on an equity platform. Where his transportation initiatives reach and what they cost riders are of utmost importance as de Blasio attempts to increase economic mobility and shrink opportunity gaps. Three-plus years in, the de Blasio administration has basically established that three-pronged approach to expanding mass transportation options in the city: ferries, Citi Bike, and the Brooklyn-Queens Connector (or BQX) streetcar. Most of this agenda has not come online yet, though. Each reaches or is projected to reach some key, underserved communities and offers attractive alternatives or supplements to the subway and bus map. But, as de Blasio himself appeared to acknowledge, the pieces have not necessarily made for a comprehensive city approach. The new ferry service, which will launch this summer, will build out over multiple years; the streetcar is in the planning stages and a few years off; and the ongoing expansion of Citi Bike continues. These marquee measures each fit into the de Blasio equity frame in different ways, though they each also have limitations in that regard. The mayor is faced with major funding and program decisions: how much to contribute to the MTA; how the BQX will be paid for; where to install ferry landings and when; whether to invest public dollars to speed Citi Bike’s move into new neighborhoods; and whether to fund the “fair fares” proposal that would provide subsidized Metrocards to poor New Yorkers. De Blasio is also facing questions about costs related to the ferry system and BQX: fares for each will be pegged to the price of a subway ride, according to the mayor, but there will not necessarily be fare integration, which would allow a free transfer from, say, the BQX to a subway near the route. 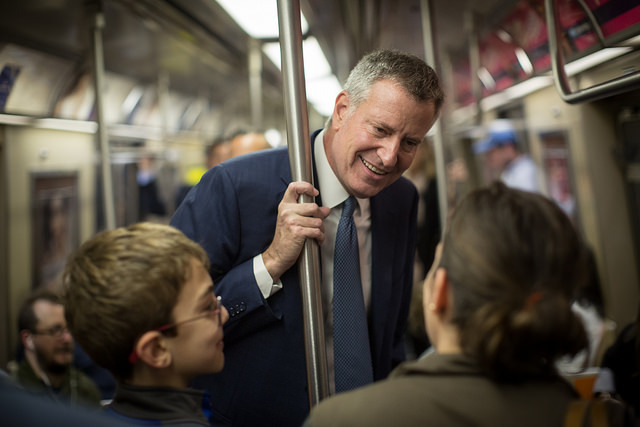 On “fair fares,” de Blasio has thus far argued the city cannot afford its estimated $212 million annual price tag and said it should be the state’s responsibility anyway. For some, this has detracted from de Blasio’s equity mantel, and a broad coalition of groups and individuals are calling on him to reconsider. Meanwhile, the MTA chair has said it is a city responsibility, calling it a “social program,” not under the MTA’s purview. In its April 3 response to de Blasio’s fiscal year 2018 preliminary budget, the City Council offered the mayor a $50 million compromise for a pilot fair fares program. Nancy Rankin, vice president of policy, research and advocacy for the Community Service Society and City Council Member Ydanis Rodriguez, chair of the transportation committee, discussed the specifics of that proposal outside a City Hall subway station on Wednesday. They explained a three-year ramp-up proposal to fully fund fair fares: first for the 380,000 New Yorkers living in “deep poverty” (families of three making less than $10,00 per year, or families of four making less than $12,000) and eventually for all 800,000 living in poverty. “Look, it’s a world of choices,” de Blasio said at a March press conference centered around his Vision Zero street safety program, when asked why he was subsidizing the ferry service but wouldn’t back the fair fares plan. “Your choices matter” happens to be a slogan de Blasio has used, alongside the NYPD, when promoting Vision Zero. De Blasio has encouraged New Yorkers, especially drivers, to be more careful, and has put largely successful efforts in motion to reduce pedestrian, cyclist, and motorist fatalities. While it is not exactly about transit options or equity, per se, Vision Zero has a transportation focus and implicit in its safety goals is the use of bikes and expansion of bike lanes. De Blasio’s transportation choices have received mixed reviews -- some wonder if the BQX will actually get built, while some question if it should, for example -- and the mayor has promised an imminent plan to battle congestion on city streets, especially in Manhattan. “I think there is a vision in that we’re grabbing every opportunity to fill gaps and reach places that don’t have enough service and it’s moving very steadily by any measure,” the mayor said. “You look at just over the last few years, the growth of Select Bus Service, the ferry system coming online after 100 years, the light rail...I feel good.” The mayor did not acknowledge that much of what he was citing is not yet functional. Others prefer to point a finger at Gov. Cuomo, arguing that de Blasio is handicapped by the MTA governing structure, the same structure that has Cuomo eyeing a $65 million cut in MTA operations funding, a move being met with significant opposition as state budget talks wind down. “The mayor does not control the MTA, he does not control the subways, and that's really a problem...so what the mayor's doing with the BQX, with Select Bus Service, the ferries, and Citi Bike, is really focusing on what he can control...that I think is a very smart direction to go in, because we can't count on the state, we can't count on the governor,” said Steely-White. The Brooklyn-Queens Connector (BQX) is a 16-mile streetcar system that, if approved, will stretch from Astoria to Sunset Park. De Blasio announced his vision for the project as a centerpiece of his 2016 State of the City address, explaining that it would be an essential piece of his fight for more equity. “The BQX has the potential to change the lives of hundreds of thousands of New Yorkers,” he said at the time. While the espoused intention behind the BQX is to connect residents of Brooklyn and Queens, especially those in several public housing projects, to job-laden areas along the East River or other transportation into Manhattan, the proposal has been met with considerable skepticism from those who argue that it will only raise real estate prices and advance gentrification. Critics wary of too much government-developer collusion have pointed to the involvement of developers such as Jed Walentas, CEO of Two Trees Management, who sits on the executive committee of Friends of the BQX, a non-profit set up to rally public support for the project. While this partnership might make sense considering increased property values are essential to the financing plan for the BQX, which the city says will largely pay for itself, it nevertheless does not sit well with some. Steely-White was referring to a New York City Economic Development Corporation estimate that the $2.5 billion for the BQX will be recaptured by the city as it takes a percentage of increased property values and development each year. De Blasio has not voiced any intentions to pursue subway expansion, though he did celebrate the opening of phase one of the Second Avenue Subway extension. He has not pushed to advance the Utica Avenue extension in Brooklyn that many want to see made a priority by the city and state. Transit equity advocates have one major concern about the BQX: whether it will allow for free transfers between the streetcar and MTA-operated buses and subways it is projected to connect with. Such a one-swipe ride would take negotiation between the city and the MTA, and some kind of financial plan. If construction adheres to schedule, work on the BQX will begin in 2019-2020, with the first streetcar expected to be running by 2024, long after de Blasio is out of office, even if he serves two terms. In addition to the BQX, the de Blasio administration has also been moving forward on bolstering the city’s ferry service. The only public ferry route currently operating is the Staten Island Ferry, which the administration moved to run every 30 minutes 24-hours per day, as opposed to the hourly schedule it previously offered during off-peak hours. In an effort to address overcrowding on the subway and provide waterfront commuters with increased transportation access, the city has teamed up with Hornblower, a San Francisco-based boat provider, to build a fleet of city-owned ferries that will eventually provide regular service to all five boroughs. “If you talk to people in the Rockaways, if you talk to people in South Brooklyn, if you talk to people in Soundview in the Bronx, they will tell you that they didn’t feel like this City’s transportation system was built for them,” de Blasio told reporters at a recent press conference. The project will receive an initial $55 million capital investment, with an additional $30 million expected to be infused each year over six years. The citywide service is expected to serve 4.5 million passengers annually with stops in Astoria, Far Rockaway, and along the Brooklyn coastline that are projected to be operational by the summer of 2017. Additional stops are scheduled to be added to Manhattan’s Lower East Side and the Bronx in 2018, with further expansion likely to include Staten Island and other stops. When asked about additional stops, especially to include spots further south on Staten Island, de Blasio was receptive, but non-committal. “I am very open to making additions after we see how the initial runs go…if they continue to be productive, we’ll be open to expansion,” the mayor said. The Mayor’s Office reported that Citi Bike saw a 40% increase in ridership in 2016, with 4 million more trips taken than in 2015. As the program has expanded further into Manhattan, Brooklyn, and Queens, ridership has increased each year, with almost 14 million trips in 2016. There are growing calls, though, for Citi Bike to expand into more neighborhoods, especially low-income neighborhoods, even if it means a public subsidy, which Mayor de Blasio has said he has no intention to pursue. Still, Citi Bike has already been touted by transit equity advocates as a positive development. “The biking and walking improvements that have been made are absolutely benefiting lower-income New Yorkers who are more reliant on transit and therefore more reliant on walking,” said Steely-White. Given its success, both advocates and elected officials are now calling for Citi Bike to expand to less-accessible outerborough communities and the upper reaches of Manhattan. In November, the City Council put forth a proposal to expand the program to every neighborhood across the five boroughs by 2020. Trottenberg testified at a recent hearing that a citywide program would require as many as 80,000 bikes. The current fleet is up to 10,000 and is on pace to grow by 2,000 every year, meaning a hefty funding increase would be needed to expand citywide by 2020. “When Citi Bike was created, it was created mostly thinking about the financial center,” Council Member Rodriguez, the transportation committee chair, told Gotham Gazette at a January press conference. “Now there’s a lot of transportation deserts that we have in the South Bronx, that we have in Brooklyn, that we have in Queens, that [Citi Bike] can be benefitting to,” he said. In its April response to the mayor’s preliminary budget proposal for fiscal year 2018, the Council stood fast on its position, officially proposing that de Blasio add $12 million of baseline funding to the DOT’s allotment for Citi Bike expansion. Whether it is Citi Bike reach or other options, the de Blasio administration believes his transportation efforts are addressing equity. “The Mayor…has made strides in creating a more equitable transportation system by offering multiple solutions that are tailored to the needs of specific communities,” wrote Raul Contreras, a deputy press secretary for de Blasio, in an email to Gotham Gazette. “[T]he development of brand new transportation options, such as Citibike, ferries and the BQX, impacts the lives of all New Yorkers, no matter what their socioeconomic status may be,” Contreras argued. Connected to transportation is de Blasio’s street safety program, Vision Zero, which ambitiously aims to eliminate traffic fatalities by 2024. The de Blasio administration, along with the City Council, took aggressive measures to begin implementation of Vision Zero in 2014 and quickly saw impressive results in reducing pedestrian, bicyclist, and motorist deaths. There were 223 total traffic deaths in New York City in 2016; down from 233 in 2015; and 258 in 2014, which was the mayor’s first year in office. Though there was strong initial progress, the rate of decline must advance quickly to meet the goals set forth -- advocates and local officials are calling for additional street redesigns, changes to traffic signals, more protected bike lanes, and other adjustments. De Blasio has succeeded in lowering the city’s default speed limit to 25 mph, installing more speed cameras around schools, instituting the “Dusk and Darkness” initiative, and redesigning Queens Boulevard, aka “the Boulevard of Death,” among other advancements under Vision Zero. “We are celebrating the good news today that with $370 million in additional capital funding over the next five years, more intersections will see the fully constructed upgrades that they need to keep the number of deaths and injuries on our streets falling,” Council Member Rodriguez said in a January statement. 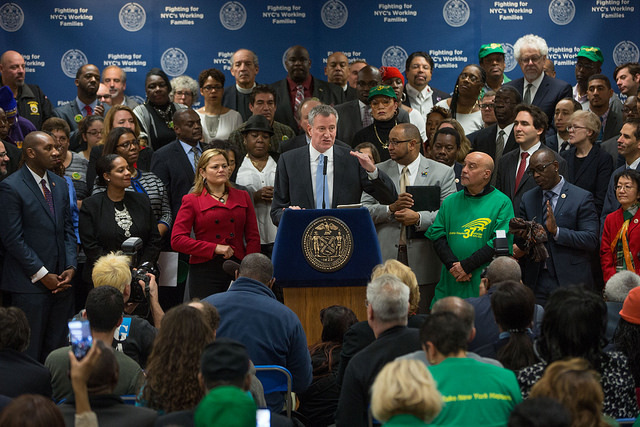 On the city-state dynamic, de Blasio indicated some progress. “In terms of Select Bus Service, which again in ridership terms is hugely important, that is a partnership between the city and the MTA that is functioning very well and is based on systematically determining where there are gaps we need to fill,” the mayor said. Budget watchdogs have expressed concern that Mayor Bill de Blasio’s “mansion tax” proposal, which would impose levies on real estate transactions above $2 million, may be misguided or even unnecessary. De Blasio made a last-minute trip to Albany on Wednesday to rally with Democratic lawmakers and progressive advocates in favor of a number of proposals currently being considered in state budget negotiations. The mayor’s chief concern, however, was the mansion tax, a proposal he has floated for years and revived this budget season as a tool to subsidize affordable housing for seniors. The proposal would impose a 2.5 percent tax on buyers who purchase property in the city at more than $2 million, raising an estimated $336 million next year, according to the mayor. That funding would then be used for a new Elder Rent Assistance program to provide $1,300 in monthly assistance to 25,000 seniors, the mayor said at his State of the City speech in February. In order to implement the tax, the city needs state approval, which is unlikely given opposition to new taxes from the Republican majority in the state Senate as well as Governor Andrew Cuomo, a Democrat who is fiscally moderate and habitually opposed to de Blasio proposals. The Wednesday rally at the state Capitol was one stop in something of a barnstorm by de Blasio, who has been pushing the mansion tax plan among seniors, including at two senior center stops on Thursday. 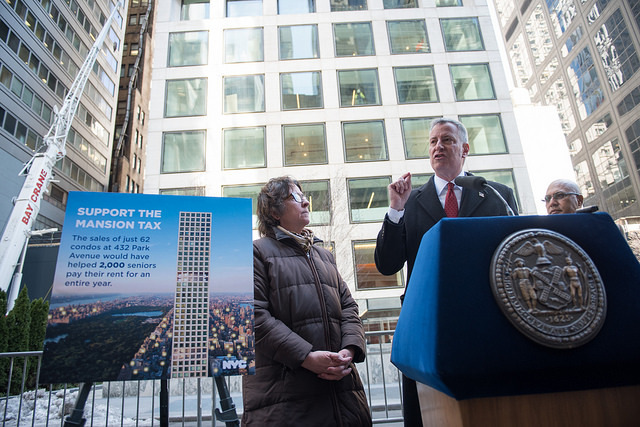 The mayor has cited the necessity of the tax revenue to provide the additional rent subsidies to older New Yorkers who fit certain age and income guidelines. But fiscal experts question whether the city really needs a new tax to raise that revenue and, if so, whether a transactional tax is the best way to do it. “This could be a good idea in the context of general property tax reform and other tax reform,” said Nicole Gelinas, senior fellow at the Manhattan Institute, a conservative think tank. “But it's not a good idea as a revenue raiser." Gelinas noted that the city already charges a mortgage tax, which she called “a tax on people who can't pay cash for an apartment.” “If we wanted to have a more progressive tax on just the purchase of more expensive properties, the money should go to reducing or eliminating mortgage taxes or other property taxes," she added. That’s not what the mayor is proposing. Instead, Gelinas pointed out, de Blasio is attempting to raise revenue for a new program through a new tax, something mayors don’t usually do unless they face a sharp revenue crunch. “The city is not exactly starved for revenue right now,” she said. Although the city is feeling the early effects of an economic slowdown, revenues and reserves are still robust after years of sustained growth. Available monies could be used to prioritize affordable senior housing, Gelinas said. Yet, as he once did with his universal pre-kindergarten program, de Blasio is insisting that the way to fund his senior assistance program is through a new tax. The mansion tax also faces opposition at home from allies of de Blasio. Manhattan Borough President Gale Brewer told Gotham Gazette that she opposes the $2 million threshold for the tax since it would have an outsize impact in Manhattan, where property prices are far greater than the other boroughs. She would prefer a $5 million threshold. “Manhattan should not be the cash cow for the rest of the boroughs,” she said last month. A report by the nonpartisan Independent Budget Office, prompted by Brewer, looked at property sales from the last three years and found that between 2014 and 2016, 8 percent of homes sold citywide were priced at $2 million or more. Of those, 86 percent were in Manhattan. In response, the de Blasio administration points out that it is a “marginal tax for incremental sales price over $2 million,” meaning that only the price above the $2 million would be taxed at the 2.5 percent. Those purchasing homes closer to the $2 million threshold would be paying very little in added tax. There are also concerns among the real estate industry about the proposal’s effect on sales, at a time when Brooklyn brownstones can cross the $2 million threshold. The de Blasio administration dismisses that concern due to the incremental nature of the tax. Kellerman also emphasized the “volatile” nature of a transactional tax, which would depend on the ups and downs of the real estate industry and also have a “distortive impact” on the market and change behavior. “If there’s a need to raise that amount of revenue, a transfer tax of this nature is not a reliable source of revenue,” she said. She also pointed out that the mayor has already allocated billions in the city’s capital plan for affordable housing, so the need for a separate tax for senior housing doesn’t necessarily pass muster. Given opposition from state Senate Republicans, the mansion tax may be dead on arrival in Albany. De Blasio has argued, including in Albany Wednesday, that he’s heard that before about proposals, such as the $15 minimum wage. Gelinas was blunt about mansion tax prospects. "I don't think it's going to go anywhere," she said. A spokesperson for the de Blasio administration refuted both Gelinas and Kellerman’s concerns, stressing that property tax reform is a larger undertaking and that the mansion tax is necessary when considering how the proposed federal budget will impact affordable housing and seniors in particular. The spokesperson also pointed out New York’s existing state mansion tax, which is 1 percent for properties above $1 million, and cited jurisdictions around the world that have used similar taxes to fund policy goals from rising housing markets. A spokesperson for another budget watchdog, city Comptroller Scott Stringer, declined to comment on the mansion tax proposal. The comptroller has not released any fiscal analysis of the proposal. Local elected officials continue to take stock of what a Trump presidency might mean for New York City, and with budget season around the corner, only one word can describe their feelings: uncertainty. Mayor Bill de Blasio, Comptroller Scott Stringer and City Council Speaker Melissa Mark-Viverito are all waiting to see what President-elect Donald Trump will actually do when he takes office in January. Trump, a Republican, made many campaign promises that alarmed city officials, who are almost all Democrats. De Blasio, Stringer, and Mark-Viverito all supported Hillary Clinton for President, and sounded varying volumes of alarm bells about the threat Trump may pose to the city and its residents. In his first two weeks as president-elect, though, Trump has already backtracked on a number of his campaign promises, but he hasn’t entirely withdrawn from plans that could have major consequences for New York City. He has sworn that he will deport undocumented immigrants, force the registration of all Muslims, and cut funding to Planned Parenthood, all of which would have significant implications in New York. His pledge to overhaul the tax code could affect personal incomes of New Yorkers and any curbs on immigration could affect employment in a city with a large immigrant population. If he leads repeal of the Affordable Care Act, New York would be one of the hardest hit states, and if he decides to cut federal funding to so-called sanctuary cities, New York City would undoubtedly suffer. Since Trump’s victory, de Blasio has repeatedly said he can’t say for sure what Trump will actually prioritize or follow through on as President. Trump’s public statements have warranted a wait-and-see approach. But, de Blasio also met with the president-elect to, as the mayor told it, express the fears many New Yorkers have of a Trump presidency, and gave a speech Monday to both explain what the city would do in the face of certain Trump campaign pledges becoming reality and asking New Yorkers to take certain action right now to help build a response movement to that which Trump created. The mayor has said he hopes Trump will remember where he came from and that he is willing to work with the new federal administration on areas of agreement, like helping working people. Stringer's office, which oversees city finances, performed an "initial analysis" of the potential impact of a Trump presidency based on the president-elect’s campaign agenda, warning of the potential loss of federal funding. 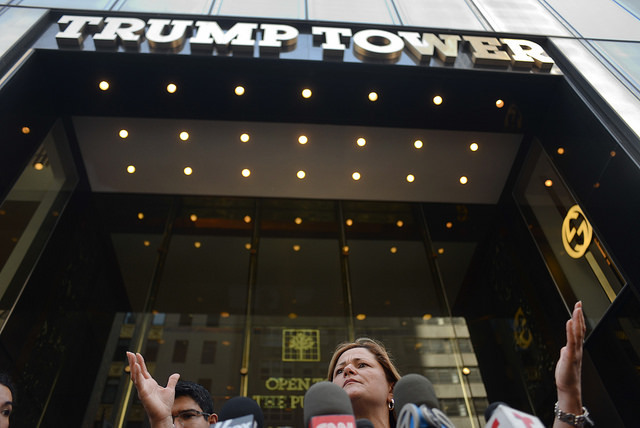 Back in July, at a breakfast event hosted by the Association for a Better New York, Mark-Viverito released the findings of a City Council study she commissioned on Trump’s policies, conducted by the Council’s finance division. The study foresaw drastic repercussions for the city. It estimated that deporting all undocumented immigrants in the country would cost between $400 and $600 billion, and New York State alone would have to contribute $49.2 billion for those costs. These deportations would mean that New York City would lose 340,000 jobs, more so than in 2001 after the World Trade Center attacks and after the 2008 recession, the report said. The consequent loss in revenue from undocumented immigrants would be $793 million in state and city taxes, according to the report. Overall, New York’s Gross City Product would decline by 3 percent, between $23.1 and $26.3 billion, according to the City Council report. The study also looked at immigration from 32 Muslim-majority nations -- Trump had made a campaign call to halt all immigration to the U.S. by Muslims. The Council estimated that 263,000 New Yorkers hail from these countries, of which 157,000 are working citizens and about 25,000 are self-employed. “Overall, workers in New York City who were born in Muslim-majority countries contribute $14.2 billion annually to our local economy,” the study states. About 900 Muslims serve in the New York Police Department, something de Blasio has highlighted repeatedly since Trump’s election and the mayor said he was sure to tell Trump when the two met at Trump Tower on November 16. When asked why Mark-Viverito hasn’t talked about the study, Koch said, “I don’t think you need to mention a study every time you talk about something.” He said the analysis had been provided to members of the press at the ABNY event and anyone who had requested it. The speaker invited criticism for producing the study with city resources since she was an active surrogate for Clinton during the campaign. She did not order a similar examination of Clinton’s policies, explaining at the time that Trump’s drastic proposals warranted looking at how they would affect the city. De Blasio’s administration is also preparing for what could be drastic cuts to the city’s budget. In the current fiscal year, roughly $8.5 billion was budgeted under federal contributions, according to the November budget modification which adjusted the total city budget upwards to $83.5 billion from the $82.1 billion that was arrived at in the adopted budget. The modification also included projections for the next few fiscal years, and estimates a lower federal contribution of $6.8 billion for fiscal 2018 and $6.6 billion for the two years after that. Trump’s propositions stand to have a domino effect that may be hard to fully grasp. New York State has already suffered from an imbalance of payments to the federal government for decades, which late Senator Daniel Patrick Moynihan first highlighted in a report termed “The Fisc” in 1976. The state received less in federal aid than it pays in federal taxes, roughly 91 cents to the dollar, according to a 2015 analysis by State Comptroller Tom DiNapoli. 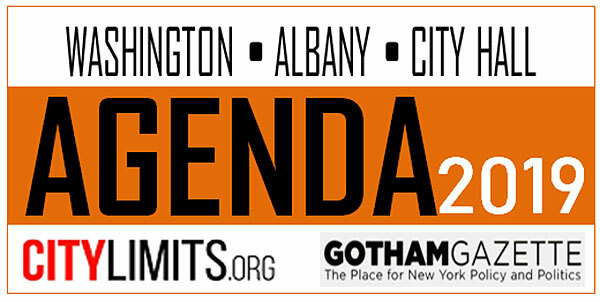 “In the best case scenario,” said Jonathan Bowles, executive director of Center for an Urban Future, a liberal think tank, “New York keeps doing what it’s doing without help from Washington D.C.” Although he gave Trump the benefit of the doubt, he said the state will definitely miss out on opportunities that would have been likely under a Clinton administration, such as funding for social services, transit infrastructure, and immigration reform. While Trump has promised a major infrastructure spending package, it is unclear what form that could take or whether he and Congress, albeit Republican-controlled, will agree on its scope and funding. He cited the importance of immigrants to the city and how a ban on certain types of immigration could be disastrous. “It goes far beyond lost tax revenue,” he said. “Immigrants have been a real catalyst for growth.” And under Trump’s proposals, he foresees a decline in legal immigration as well. “New York is a huge loser if that happens,” he said. Bowles also warns that the figures in the speaker’s report “only scratch the surface” of the effects on New York City that a Trump administration and like-minded Congress could have. Major changes in healthcare policies would lead to greater burdens on the city and state’s budget, he said, as it absorbs the cost of lost federal aid. On the precarious state of criminal justice policy, he pointed out, the president-elect’s tone and rhetoric could create further divisions. The unpredictability also means that the city will have to “tread carefully,” Turetsky said, in its assumptions about revenues from federal sources. Stringer's office then released its analysis on Wednesday. Gelinas also said that a decrease in Medicaid spending would be detrimental, but pointed out that Trump has yet to put forward a concrete plan to replace the Affordable Care Act’s provisions for higher spending. Note: this story has been updated to reflect that Comptroller Stringer released his office's initial analysis of federal funding to New York City. 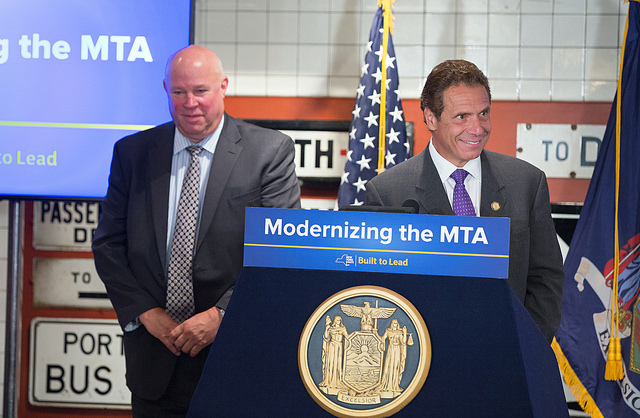 Governor Andrew Cuomo has made mass transit a major focus of late, holding a series of events over the past year regarding airport redevelopment, railroad expansion, new transportation hubs and vehicles, and more. Early last month he described the Metropolitan Transit Administration (MTA) as a new “personal priority” and announced an effort to modernize the agency, beginning with the purchase of over 1,000 new subway cars. This, with the accompanying significant funding allocation toward the MTA, is something of a change of course for Cuomo, who has a history of diverting money from the MTA. Now, the governor’s ambitious transit plan includes updating the MTA, repairing tunnels and bridges throughout the New York metropolitan area, building a new Tappan Zee bridge, rebuilding LaGuardia Airport and Penn Station, and creating a new tunnel under the Hudson river. With federal corruption convictions having toppled two recent leaders in the state Legislature, among other former Albany lawmakers, and investigations into his own administration, Cuomo appears to have seized on a concrete, quality-of-life issue in mass transit that has also been brought into focus by the dire state of the state’s transportation infrastructure. 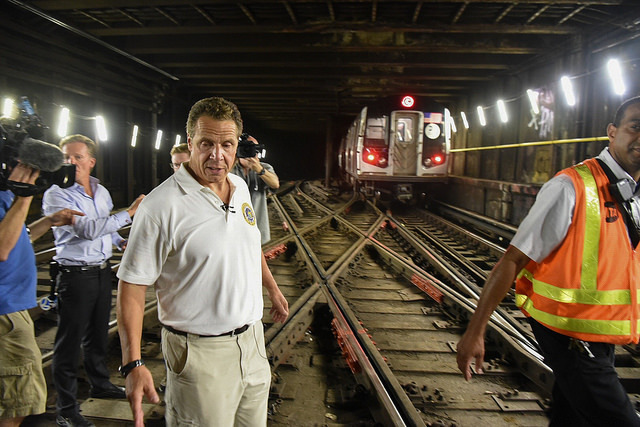 Cuomo’s commitment came after calls from transit advocates, business people, and lawmakers urging the governor to allocate funding to the MTA’s five-year Capital Program in the state’s budget to meet the staggering needs outlined by the authority. After spending $1 billion in the first year of the Capital Program last year, Cuomo agreed to provide an additional $7.3 billion last fall. New York City will provide $2.5 billion, and the MTA, a state body whose chair is appointed by the Governor, will itself provide $17 billion. Cuomo did not finalize the spending plan for the Capital Program until late May, but has widely publicized his support of the program since. The state’s contribution to the Capital Program is included in the Fiscal Year 2017 budget, providing $2.9 billion in the coming year on top of the $1 billion provided in Fiscal Year 2016. While some transit advocates view the governor’s recent embrace of the MTA as a victory, not all are reassured by the promise of capital funding. Burina said the push to secure budgetary funding for the Capital Program was aided by Assembly member James Brennan, a Democrat from Brooklyn, who penned a letter signed by 35 other Assembly members and sent to Cuomo in February. However, Burina added that Cuomo has not detailed how the state will pay for the capital program. Without a new source of funding, the state—or the MTA—will have to borrow. The MTA is already over $35 billion in debt. Because one of the only revenue generators within the MTA’s control is passenger fares, Burina said she is worried going further in debt would make a looming fare hike to $3 even more likely (the current cost of a subway or bus ride is $2.75). But the Fiscal Year 2017 budget stipulates that the state can only provide its share of the funding via a revenue stream or direct payments, which means no debt related to the state’s contribution to the Capital Program can be passed on to the fare-payer, according to Morris Peters, a spokesperson for the New York State Division of the Budget. Peters also touted the $3.9 billion state contribution already signed into law as part of the past two years’ budget, pointing out that this places the state ahead of schedule in providing its $8.3 billion pledged contribution. “Through the Enacted Budget, the state’s commitment of $8.3 billion in new funding for the MTA is now law. Anyone who thinks this isn't a priority clearly doesn't know what they're talking about,” Peters said in an email to Gotham Gazette. Nonetheless, transportation advocates are likely to continue questioning where exactly the money is coming from and pressuring Cuomo as they have in the past, urging the governor to find ways to pay for the capital plan, according to Burina. “It's great that he's come out and stepped up saying that these are his priorities, but we want to make sure that this doesn't translate into unsupported debt borrowing,” Burina said. Several possible options for funding exist, but none have yet been embraced by the governor. One possibility is raising motor fuel taxes, which brought in $503 million for the state last year. But Nicole Gelinas, the Searle Freedom Trust Fellow at the Manhattan Institute, said raising the gas tax is unlikely to provide enough funding for the Capital Program. Increasing motor fuel taxes has not been endorsed by Riders Alliance and has drawn skepticism from elected officials who support increased transportation spending, especially since motor fuel tax revenue is expected to decrease by $9 million in the coming year. Riders Alliance has, however, endorsed the Move NY Fair Plan, which would increase tolls in areas of high transit availability like major East River bridges and decrease tolls in areas of low availability, including bridges over the Harlem River. But the plan would generate “only” one billion dollars per year for transit projects through 2019, as well as $375 million per year for road and bridge improvements during that time. As advocates continue to push for a source of funding for the MTA, Riders Alliance hopes to use Cuomo’s “prioritization” of transit to gain momentum for more specific causes they’ve spearheaded in recent months, including compiling a plan to support commuters affected by the L Train’s upcoming closure, subsidizing fares for low-income New Yorkers, and updating the subway signaling system, which would allow for expanded countdown clocks and more trains per track. And while some have been bolstered by Cuomo’s pledge to be an advocate for transportation, others are less satisfied. New York State Senator Leroy Comrie, a Democrat from Queens who serves on the Senate’s infrastructure committee, said that regardless of its sources of funding, the Capital Program neglects parts of his constituency.